Do you ever look at your child's back to school supply list and wonder to yourself just how often you are are going to have to replace these supplies throughout the year? I'm not talking about pencils and notebooks that are of course going to be gone through and need replaced as time goes on. I mean, have you ever wondered just how quickly your little one will manage to misplace it all? I know I do! I've said it once and I'll say again... my son has an amazing ability to lose just about anything. We've lost lunchboxes, thermoses, supplies, sweaters... somehow last year he almost managed to lose a pair of shoes! How does that even happen!? I'm at a loss as to how he manages to pull these losses off, but at least I know how to better make sure they're returned: Mabel's Labels! We were first introduced to Mabel's Labels last summer through one of their summer camp label packs. We loved them so much that we again went back to them for more labels for back to school and again for summer camp this year! Not only were these super practical with their super durable labels that are both dishwasher and laundry safe, but we loved that we could truly customize these labels with fun designs and even color options to truly make them unique! 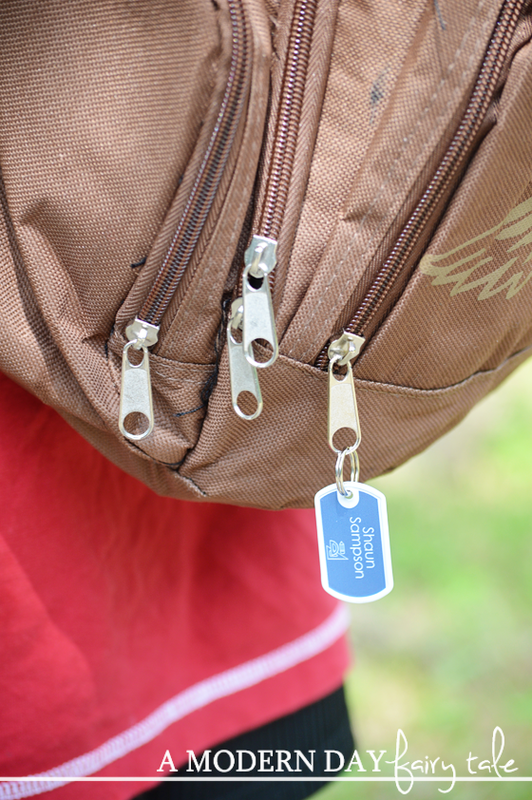 From camp to sleepover and of course, school... these labels offered a fun way to help us keep track of everything from pencil boxes to backpacks, scissors to notebooks and so much more! 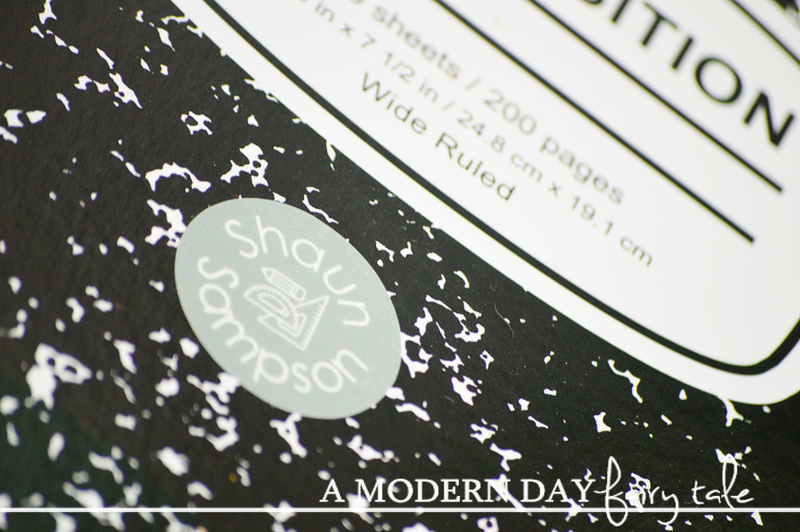 Each package offered a variety of sizes to fit every labeling need we had! $42 for 108 labels and tags: 40 Mini Custom Name Stickers, 50 Tag Mates™ Stick On Clothing Labels, 16 Custom Shoe Stickers, and 2 Personalized Mini Tags. 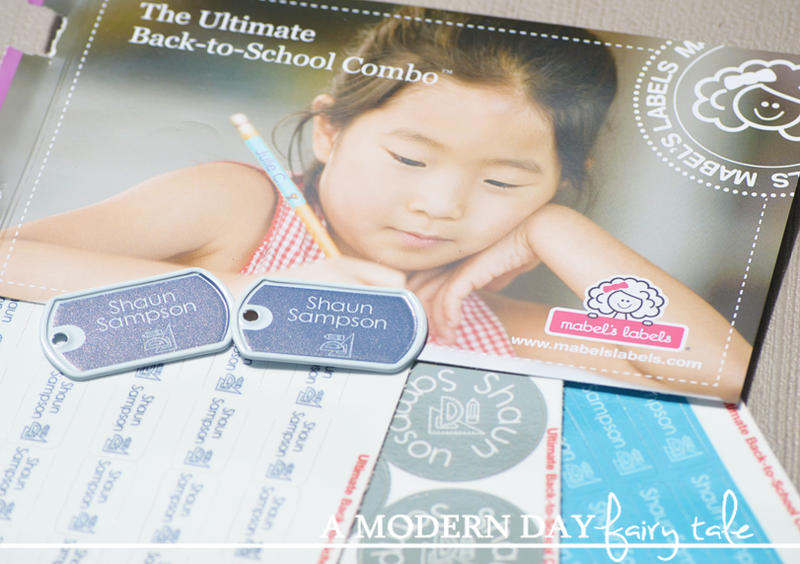 2016 Little Kid School Combo: Designed specifically for little kids going to school for the very first time, this combo includes extra-durable, waterproof labels and tags perfect for backpacks, clothes, lunch containers, toys, and now includes shoe labels, too. Four new icons include: dolphin, racecar, crown and shark, in addition to 20 multi-colored designs. $42 for 108 labels and tags: 40 Mini Custom Name Stickers, 50 Tag Mates Stick On Clothing Labels, 12 Preschool Shoe Labels, and 2 Personalized Mini Tags. The 2016 Middle School Label Pack: This combo features a range of modern styles, colors, and designs, perfect for designating school supplies, water bottles, tablets, chargers, cell phone cases, and more. $42 for 108 Labels and Tags: 40 Mini Custom Name Stickers, 50 Tag Mates™ Stick On Clothing Labels, 16 Round Labels, and 2 Personalized Mini Tags. Special Edition Personalized Name Stickers: Perfect for teens, tweens or students of any age looking for a trendy, fun design for the back-to-school season, designate belongings customized with names and choice of style: zombie or cursive writing. While the Ultimate Back To School Pack is the perfect option for my son, I love that Mabel's Label's recognizes that not all students are created equal. The label needs of a new preschooler are going to be drastically different than the needs of a middle schooler...as are the styles they will want! Mabel's Labels truly has thought of it all! No matter what age your child is or what their interests are, Mabel's Labels is going to have just what they need to keep them organized and ready for back to school. To see more, join the Mabelhood community on Facebook, Twitter, Instagram. Sign up to receive newsletters, a fun and reliable source for all things mom-related! 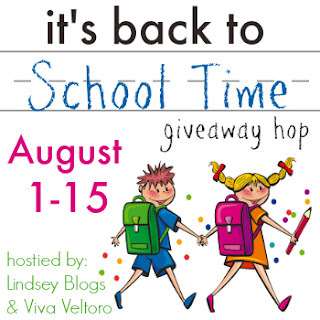 To celebrate back to school, they are having a fantastic contest! Enter now to win 1 of 20 Grand Prizes of $500 towards your child’s education! 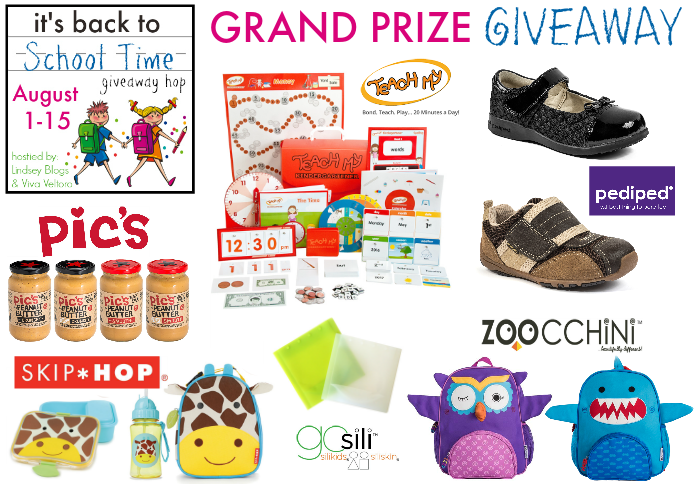 Plus, weekly prizes of Mabel’s Back to School Label Packs to get ready for the start of the school year. Enter now! Winner will be contacted via e-mail after giveaway ends, and will have 48 hours to respond before a new winner is chosen. One entry per household, winning entry will be verified. Odds of winning depend on valid entries received. A Modern Day Fairy Tale is not responsible for prize delivery. So Easy Being Green, Viva Veltoro, and the Back to School participating bloggers are not responsible for sponsors who do not fulfill prize obligations. I love the name stickers. They can be put on anything!! I love the Kids’ Safety Bracelets.Really a great idea. I really like the Limited Edition Personalized Name Stickers – Zombies & Notebook. My kids would get a kick out of the zombies! I love the shoe stickers!! So perfect for my kiddo who is learning his left and right!! I also love the Personalized Bag Tags. I like the Little Kid School Combo pack. I also like their Big Kaboodle Label Pack. These would be so useful! I accidentally put Pure Spoon as another giveaway that I entered. I was unable to because I don't have twitter. I did enter the Construction & Rescue Vehicle Books giveaway! This is lovely – beautiful phone cases just for you and such a gorgeous case too!